Digital transformation (DX), artificial intelligence and Cloud 2.0 stand high as some of the most dominating features of the Australian enterprise IT landscape going into 2018 and beyond, according to analyst firm, IDC. “The digitalisation phenomenon will continue to push DX as the top priority for IT executives, as innovation through DX is permanently reshaping the future of Australian organisations,” IDC Australia senior research manager, Sabharinath Bala, said. “The pace at which organisations generate digitally enhanced products and services will amplify their reach in the market and be key to their success. “The ability to deliver digital at scale and across the enterprise is critical to win in the DX economy. The increased complexity in measuring the success of DX outcomes will force the C-suite and the digital leadership teams to establish unambiguous metrics and KPIs as part of their DX road map,” he said. The latest examination of the local IT sector, undertaken by Bala and IDC Australia research analysts, highlight the top strategic predictions that are expected to unfold in 2018 and in subsequent years, resulting in the biggest impact to organisations in the country. By 2021, at least 60 per cent of Australia's Gross Domestic Product (GDP) will be digitised, IDC said, with growth in every industry driven by digitally enhanced offerings, operations, and relationships. As such, by 2020, investors will use platform or ecosystem, data value, and customer engagement metrics as valuation factors for all enterprises, the research firm said. Half of the top 500 Australian companies (AU500) are expected to have fully articulated an organisation-wide digital transformation platform strategy by 2020, according to IDC, and will be in the process of implementing that strategy as the new IT core for competing in the digital economy. By 2021, enterprises' spending on cloud services and cloud-enabling hardware, software, and services will more than double to over A$9.8 billion, leveraging the diversifying cloud environment that is 35 per cent at the edge, over 15 per cent specialised (non-x86) compute, and over 65 per cent multi-cloud, the analysts predicted. Half of digital transformation initiatives will use artificial intelligence (AI) services by 2019, according to IDC. By 2021, 85 per cent of commercial enterprise apps are expected to use AI, over 65 percent of consumers will interact with customer support bots, and over 60 per cent of new industrial robots will leverage AI. By 2021, enterprise apps will shift towards hyper-agile architectures, with 85 per cent of application development on cloud platforms (platform-as-a-service) using microservices and cloud functions, such as AWS Lambda and Azure Functions, and over 90 per cent of new microservices deployed in containers like Docker. Human-digital interfaces will diversify by 2020, IDC said, as 25 per cent of field service techs and 20 per cent of info workers use augmented reality, nearly 35 per cent of new mobile apps use voice as a primary interface, and nearly 55 per cent of the consumer-facing AU500 organisations use biometric sensors to personalise experiences. By 2021, at least 25 per cent of Australian Securities Exchange (ASX)-listed organisations are expected to use blockchain services as a foundation for digital trust at scale. By 2021, at least 25 per cent of Australian financial service providers, 40 per cent of supply chain, 40 per cent of agribusiness, and 20 per cent of healthcare organisations will use blockchain networks in production. By 2020, 80 per cent of large enterprises in Australia will generate revenue from data as a service -- from the sale of raw data, derived metrics, insights, and recommendations — up from nearly 35 per cent in 2017. 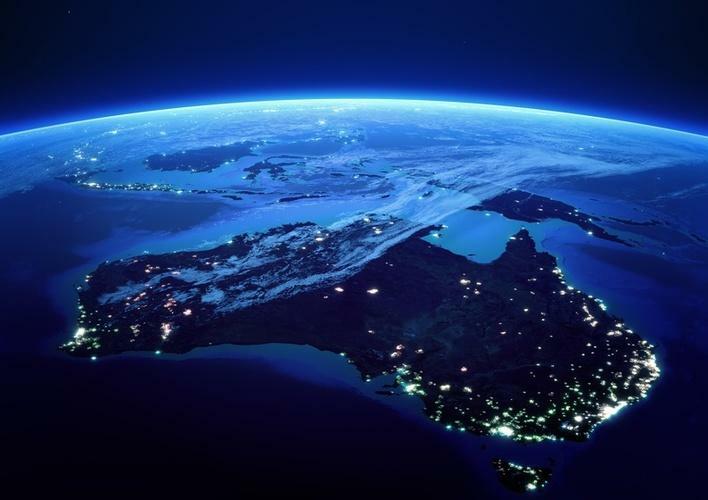 Improvements in simple "low-code or no-code" development tools are expected dramatically expand the number of non-tech Australian developers over the next 36 months. By 2021, these nontraditional developers will build 20 per cent of business applications and 30 per cent of new application features. By 2021, more than half of the ASX companies will see an average of 45 per cent of their digital services interactions come through their open API ecosystems, up from 10 per cent in 2017 -- amplifying their digital reach far beyond their own customer interactions.